I am certain I drive some of my friends and family crazy, because I don’t even like waiting in restaurants for other people to arrive. The only places I willingly sit alone are at Panera or Starbucks when I am reading, writing or working. But even then, if a friendly face stops by…the seat across from me is always theirs if they want it. I love looking at the sky, from sunset to moonrise, I love every aspect of God’s universe that appears. Yet again, I hate watching alone. At night as I am winding down are some of the best conversation I’ve ever had with anyone. And as crazy as some might think I am, I refuse to actually talk to myself. During summers when our family is at the lake, one of my favorite things is to sit outside at night on the deck. My dad can outlast us all, but those moments together are memorable. Someone to sit in quiet nighttime moments and just be present within whatever conversation happens makes my heart happy. There are times when I am good being alone. If God has me soaking in some scripture, I need to give myself the space to hear him. If I need to decompress and could potentially take out a frustration on an innocent bystander…I probably need to take a drive alone for everyone’s safety. Realistically, it is rare that I am able to recharge in moments alone. I need people. I need my community. I need someone who will let me process out loud. But also, realistically, I probably need more time to be still, quiet and listen for the whisper of God alone. By myself…in scary silence. Even as I type it out I am cringing. I need noise. Even in the moments I find myself alone, there is normally music playing. However the real question is do I need noise, or do I want it? Is there a point it becomes too much? Things get muddled when there is a lot of sound and busyness. When I need clarity. When I need to hear God. When I need to make certain I am following the Holy Spirit…the noise becomes a distraction in my safety zone of having people surround me. Surrendering myself to the voice of God and his leading gets affirmed within community, but I need time and space to discern that voice and leading. 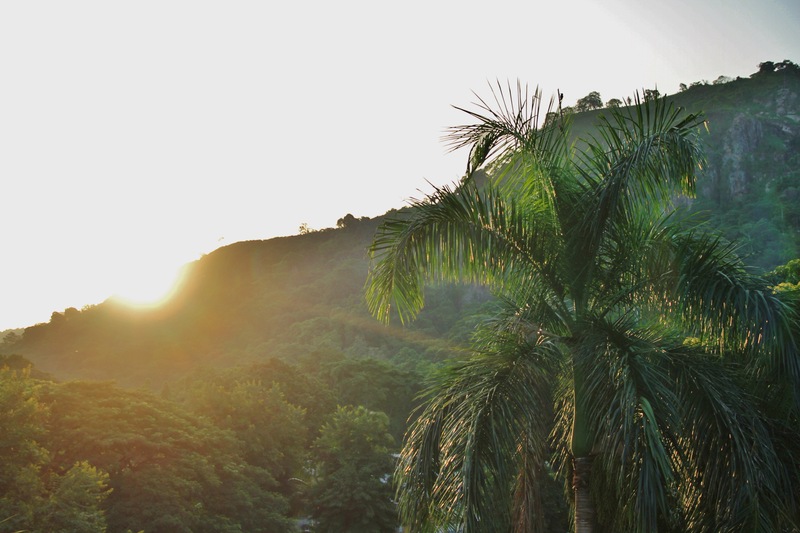 On a rooftop in northern Haiti…all alone…seeking God and surrendering to that silence found a time with God soaked in poignance. The key is I forced myself to be alone. And what is heard in those moments can be scary and freeing all at the same time. I know the road those moments lead me down and they are some of the most restorative, refreshing and exhilarating. But I have to force myself to be alone…and sometimes I need a little accountability to not run in the opposite direction. This entry was posted in Lent 2015 and tagged alone, God, Holy Spirit, Lent, Rethink Church. Bookmark the permalink.